Holes eaten into live Lower Devonian plants are seldom described phenomena. Arthropod borings in Rhynia gwynne-vaughani are mentioned in a comprehensive survey of herbivory by Labandeira , where the Rhynie chert is chosen as "early flagship biota" for the "1. herbivore expansion phase". The borings in Rhynie chert plants are thought to be caused by mites and hexapods. Holes gnawed into Aglaophyton sporangia to get access to the spores have been described, apparently for the first time, in Rhynie Chert News 7 . 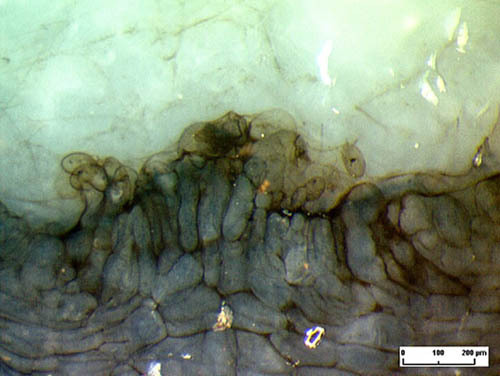 Cavities in Aglaophyton shoots are a common sight but often they cannot easily be assigned to a certain cause. Two rather well preserved specimens of Aglaophyton (former Rhynia major) with damage due to herbivores have been found recently (Figs.1,2). By lucky incidence, the cut reveals the access hole to the cavity in Fig.1. 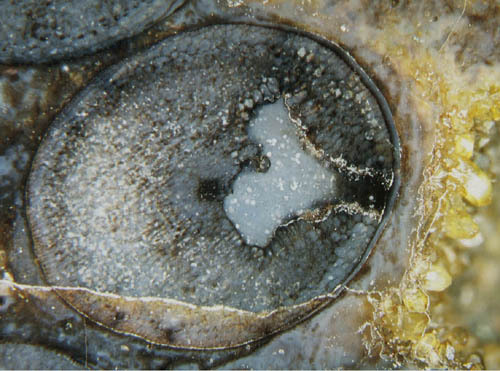 Fig.1: Aglaophyton, slightly tilted cross-section with cavity in the tissue and access hole, width about 0.4mm, obviously made by some herbivore. Width of the picture 5.5mm. 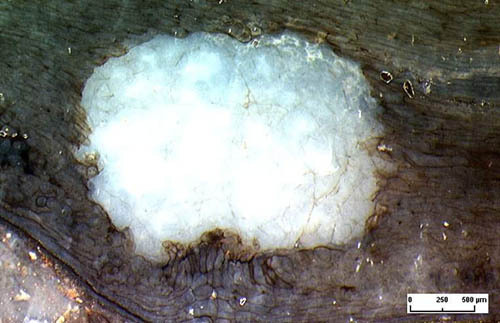 The creature apparently did not prefer a certain type of tissue: It did not specially go for the region around the xylem strand thought to represent the nutrient-rich phloem, nor for the mushroom taste of the layer with dark clots in Fig.2, where the fungus Glomites rhyniensis has set up a relationship with the plant known as arbuscular mycorrhiza . The absence of coprolites seems to indicate that the borings did not serve as burrows for dwelling but as grazing grounds only. Obviously the damage occurred to the live plant, judging from the response of cells along the boundary and the apparent formation of new cells. A cavity of similar but less distinct shape is seen in . 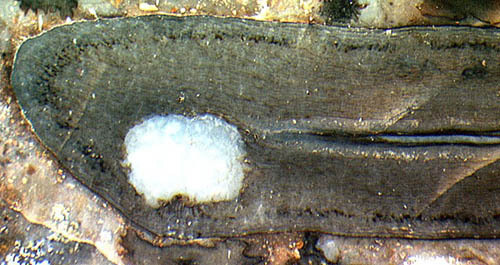 Fig.2: Aglaophyton axis bending out of the cut plane on the left, with cavity, 2.5mm wide, probably made by herbivorous arthropod. Fig.3, detail of Fig.2: Response of the plant with the aim to replace some of the lost tissue below. Fig.4, detail of Fig.3, suggesting the formation of new cells. The fungus hyphae faintly seen above must have grown later when the plant was submerged by flooding and the cavity was filled with water. Photographs by H. Sahm (Figs.2-4). Some of the cavities in Aglaophyton cannot easily be assigned to either fungus activity as in Rhynie Chert News 4 and 21 or to gnawing creatures as in Rhynie Chert News 7 and the samples shown here. C.C. Labandeira : The four phases of plant-arthropod associations in deep time.